Some food cravings are hard to understand. 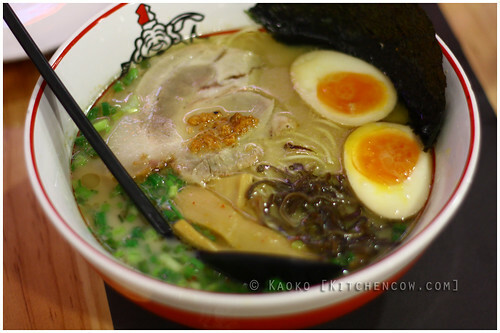 For instance, craving for ramen in the middle of a sweltering Manila summer. It’s insane, but it happens all the time. Thank goodness for airconditioned malls and for wonderful restaurants that specialize in ramen like Ikkoryu Fukuoka Ramen. Another Japanese chain to join the local Ramen Wars, Ikkoryu Fukuoka Ramen hails from the Kyushu region of Japan, known for its tonkotsu or pork bone broth ramen. This over 40-year old chain specializes in Chikuho noodles, a long, thin strand popular in the Chikuho area of Kyushu. This tonkotsu broth, combined with chikuho noodles, tender chashu pork and a special soy sauce make up the Ikkoryu Fukuoka ramen that is now known and enjoyed outside Japan. Wanting to taste the pureness of their fabled tonkotsu broth, I opted for a bowl of their Ajitama Tonkotsu. It’s the same as their original Tonkotsu ramen with chashu, green onions, bamboo shoots, wood ear mushroom and seaweed, with the addition of the ajitama, a marinated boiled egg with a gently cooked yolk. Hearty, with a clean taste, this ramen bowl hits the ramen cravings in the right spot. You can opt to have the noodles done regular, hard, or extra hard on the al dente scale. 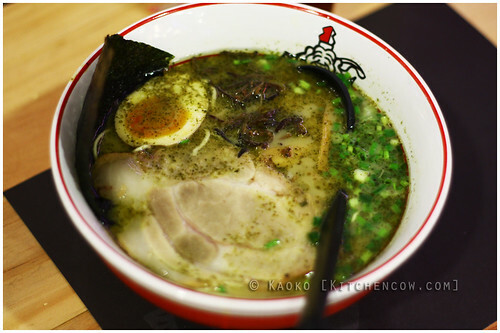 A special ramen offering of Ikkoryu Fukuoka ramen is the Yuzu-Tama Tonkotsu aka green ramen. This one is flavored with a mix of yuzu, a citrus fruit, and a spicy pepper, hitting your regular tonkotsu ramen with a sour and spicy tang. 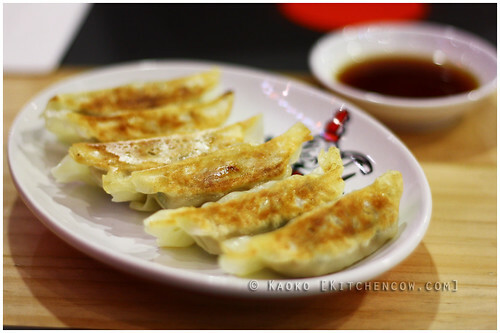 To accompany your ramen, their gyoza’s a good choice with its full flavors wrapped up in a light, half-crunchy / half-tender shell. 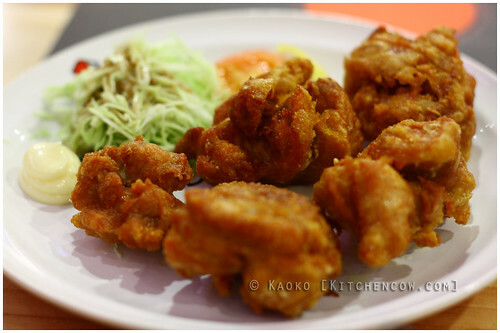 The karaage is just as enjoyable, with its light crisp coating and flavorful center. Can’t get enough of the chashu? Have it on rice. The chashu don is perfect for people who can’t live without their rice bowls. So, still waiting for summer to end before attending to your ramen cravings? I say go for it now and just shower later. Some cravings just need to be satiated. 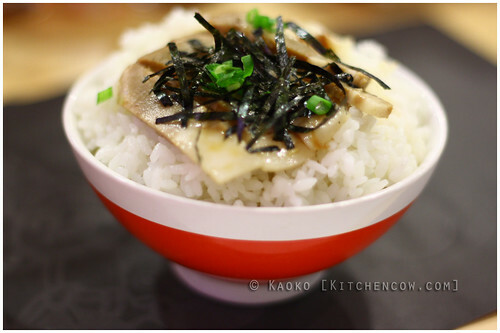 Disclosure: Author was invited to sample Ikkoryu Fukuoka Ramen’s dishes. No other compensation was received. Ikkoryu Fukuoka Ramen has branches in Shangri-La Edsa Plaza Mall, SM Aura Premier, Powerplant Mall, Alabang Town Center, Century City Mall, and Bonifacio High Street. I like this place! I tried the one at the Shang East Wing. It’s nice that the broth has a pretty unique flavor and definitely different from other ramen places. I was just going to say (right when I clicked on your link on my side bar), “isn’t it too hot for ramen?” And you answered it on that first paragraph. Haha! 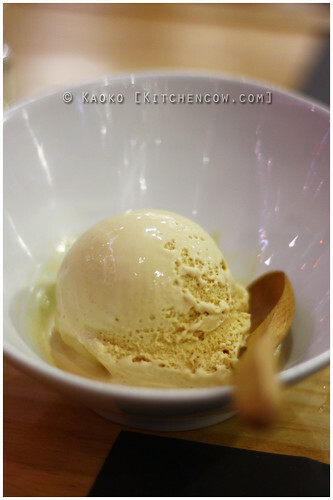 Ok, call me crazy, but I am craving for a bowl because of this post! And a serving of ice cream, and yes, a nice, cold shower after! Haven’t tried this yet! I don’t like to eat ramen thought since its summer and am gonna wait for summer to end before I even get a bowl of soup! It’s really hot right now! I’d rather just eat the ice cream there!